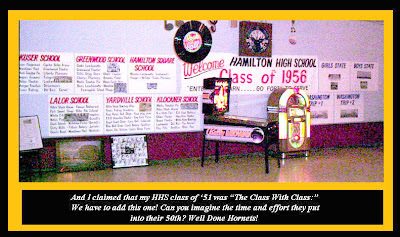 2006: HHS CLASS OF '56. ANOTHER "CLASS WITH CLASS." 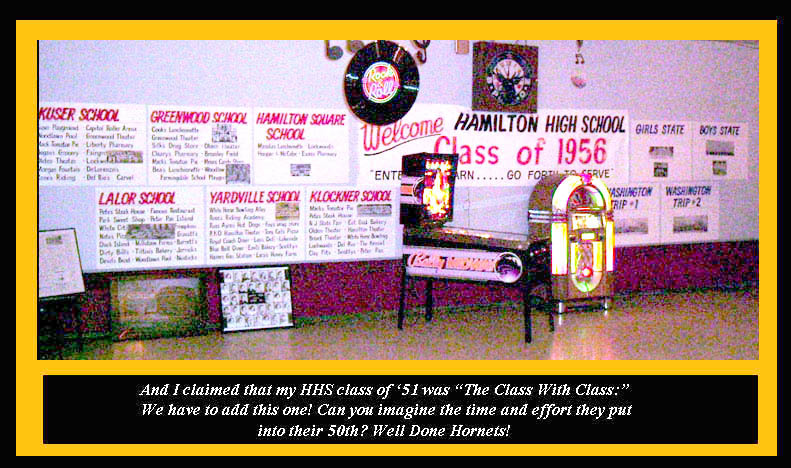 Fellow Hamilton Hornet Jack Lacy gave me a CD/DVD loaded with photos from the 50th reunion of Hamilton's class of 1956, celebrated back in 2006. The above photo has been enhanced and tweaked to give you an idea of just one small portion of the time and labor that was brought into play by alumni from that class. Check out the neighborhood display, and don't miss that old Wurlitzer juke box.